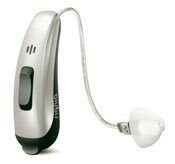 Pure 312 Nx is a Receiver In the Canal (RIC) hearing aid with a size 312 battery and Nx OVP, Own Voice Processing technology. The size 312 battery provides for a slimmer case. OVP allows you to hear your voice more naturally and also improves speech understanding in noise. The Signia Pure 312 Nx has direct connection to the iPhone and connection to Android via the StreamLine Mic. The user can take calls and listen to music directly in stereo. With Signia StreamLine TV you can listen to TV in Dolby Digital stereo sound. 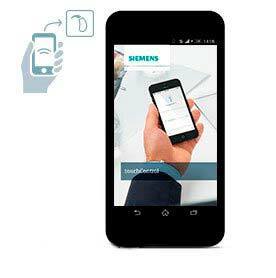 Using the myHearing app with the Signia Siemens Pure 312 Nx you can control the Nx features. There is no need to worry about moisture, sweat, dust or dirt because it is IP 68 rated, essentially waterproof. The Pure 312 Nx is not rechargeable, but the Pure Charge and Go Nx, Motion Charge and Go Nx and the Styletto Connect Nx are rechargeable. Nx Technology is an industry leading technology. Signia Siemens Nx provides the most natural real-time own voice, best speech understanding in noise and combines the most advanced connectivity features. The patented Own Voice Processing delivers the user's voice naturally while not affecting any other sounds. 3-D Classifier analyzes multidimensional information from the environment and provides a tailored hearing response to the wearers needs. Speech Quality is further improved providing the best understanding of speech in noise using Ultra HD e2e, Narrow Directionality, Spatial SpeechFocus and Twin Phone. Signia Siemens Nx like Primax before it, has been clinically tested and delivers better than normal hearing in complex sound environments. TeleCare allows the user to be anywhere and we can make real time adjustments and changes to the Pure Nx 312. No more requirement for office visits. TeleCare now includes video for an additional level of assistance. Signia TeleCare has simplified remote patient hearing care. Tele-care provides for a quicker response and for greater flexibility, TeleCare is another advantage of Signia Siemens Nx technology. Warranty Signia Siemens Pure 312 Nx includes a 3 year warranty with 7 Nx, 5 Nx and 3 Nx. Warranties include loss and damage coverage. There is no extra cost for the full warranty. Prices for Pure 312 Nx are listed on this page below. Professional services and support for the life of the hearing aids and full Signia warranty are included in our prices. Looking for even better prices, see our SPECIAL OFFERS page. Whether you search for Signia Silk Nx prices or Siemens Silk Nx prices the result should be the same, because they are a co-brand (Signia Siemens). Warranty - We include the full Manufacturer's 3 year warranty with 7 Nx, 5 Nx and 3 Nx, at no extra cost. Warranties includes loss and damage coverage. The industry’s most advanced remote control app. The myControl App acts as a remote control for adjustments and personalization. It is the only app to offer 360-degree microphone steering. Users can adjust program and volume, system sounds, power on delay, low battery interval, and flight mode. Our industry-leading app also relays smartphone motion sensor data to deliver the best possible hearing while the user is on the move, ensuring their relaxation and safety whatever comes their way. The myControl App helps wearers look after their hearing health by displaying noise exposure and voice activity, which are health indicators. In addition, the unique Signia TeleLink acoustic connectivity system allows users to benefit from the myControl App when other wireless systems cannot be used, during flight mode, for example. Easy to use and easy to get just simply download the myHearing App at the Apple App store or the Google play store. The best part is that the App is free! The is an accessory for Signia Siemens Pure Charge & Go Nx hearing aids that provides hands-free audio streaming for phone calls, music and any other device with Bluetooth connectivity. Your hearing aids become state-of-the-art hands-free mobile wireless headsets and provide the highest quality stereo audio. 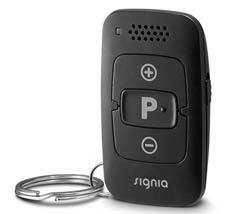 The is an accessory for Signia Siemens Pure 312 Nx hearing aids that provides TV audio in Dolby. It streams TV audio directly into the Pure 312 Nx hearing aids. The user can adjust volume separately from the TV with the myControl app.